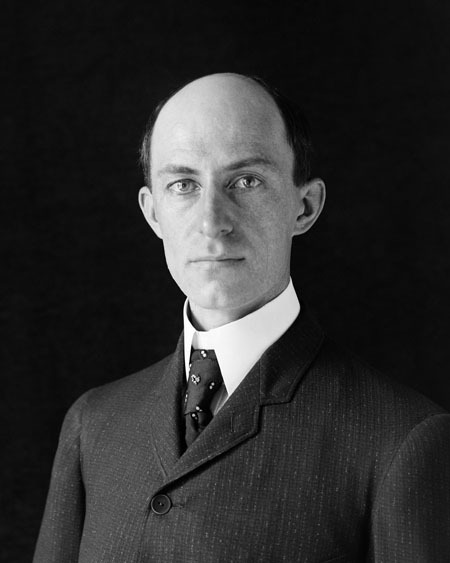 Wilbur Wright was born on April 16, 1867, near Millville, Indiana; his brother Orville was born on August 19, 1871, in Dayton, Ohio. Although they showed great mechanical aptitude as youths, neither brother finished high school nor attained any formal higher education. However, their curiosity and motivation led to a life­long career in engineering. In 1889, they began publishing a newspaper that they printed on a home­ built printing press. In 1892, they opened a shop for the design, manufacture, and repair of bicycles. The Wright brothers developed an interest in aviation while reading the works of German aviation engineer Otto Lilienthal, who had successfully performed numerous experiments with gliders before his death in 1896. That year, Orville and Wilbur began to design a flying machine. Observing buzzards in flight, they realize that an airplane must be capable of elevating and descending, turning left and right, and banking to either side. The Wrights flew their first biplane glider in 1900 at Kitty Hawk, North Carolina. The following year, they tested hundreds of miniature wings in a small wind tunnel and applied their data to the design of two improved gliders town at nearby Kill Devil Hills in 1901 and 1902. Wilbur Wright Turning to powered flight, the Wrights designed an efficient propeller and a light engine, and, in 1903, they completed their first airplane, Flyer I (now called Kitty Hawk). The first flight, on December 17, 1903, covered 120 feet in 12 seconds. In 1904 and 1905, the Wrights built Flyer II and Flyer III—the latter could remain airborne for half an hour and easily turn, bank, circle, and cut figure eights. In 1908 and 1909, the brothers caused public sensations with flight demonstrations in France and New York, where Wright companies were formed for the manufacture of airplanes. 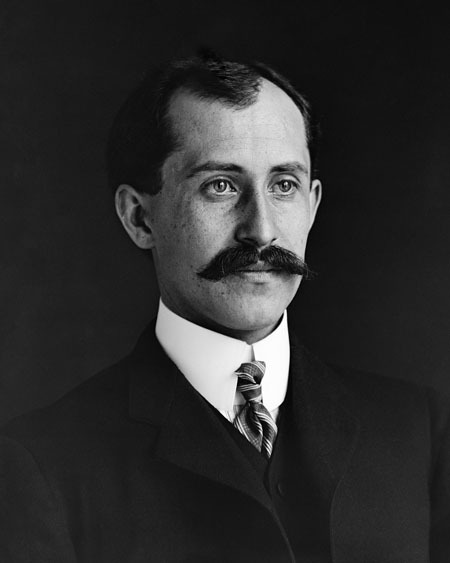 The United States War Department signed a contract with the Wright brothers for the construction of the first army plane. Wilbur died of typhoid in Dayton, Ohio, on May 30, 1912. Orville contributed to aeronautics engineering until his death in Dayton on January 30, 1948. The Wright brothers’ airplanes revolutionized aviation engineering and forever altered the face of transportation for military and civilian travelers across the globe. The Wrights improved aircraft technology several fold with their wind ­tunnel data, their propeller and engine designs, and their recognition of the importance of three axis flight control. Their insight added the finishing touch to the already advanced developments in aerodynamics and structural engineering. Following the Wrights’ public flight demonstrations, an explosion of research into airplane structures and engines led to immediate advances in the progress of flight. In 1909, Louis Blériot of France flew over the English Channel, and English aviator Henri Farman completed the first flight over 100 miles. In 1910, Eugene Ely became the first pilot to take off in an airplane from the deck of a ship, demonstrating the plausibility of aircraft carriers. Russian­born American IGOR SIKORSKY built and flew the first multi­ engined airplane in 1913. Captain John Alcock of Britain piloted the first non­stop flight across the Atlantic in 1919. Charles Lindbergh’s famous 1927 flight was the first solo, non­stop flight across the Atlantic. Commercial air service began in 1919 and has since become accessible to vast numbers of people. The first airplane carrying civilian passengers flew flawlessly from Paris to London, and soon a British company, Aircraft Transport and Travel, instituted regular passenger flights between those two titles. Passengers were issued leather jackets, goggles, and helmets, which they could keep as souvenirs after the flight. Air travel has transformed modern life. It has brought people and cultures closer together, increased the speed of business communication, and escalated the flow of goods and services across the world. These profound changes resulted from the innovations of the Wright brothers, whose groundbreaking work set the field of aviation in motion.